The constant aching in your jaw and subtle shifting of teeth inside your mouth has finally pushed you to seek the best possible dentist to help to fix the problem. 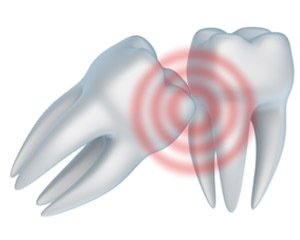 It is normal to avoid warning signs like pain while brushing your teeth or a constant headache. When it is time for wisdom teeth removal, Dr. Sykes, a dentist in the Spanish Springs, Sparks and Reno, Nevada area, is compassionate and professionally thorough during each tooth extraction. Rest assured that at our office you will find a serene, stress-free environment with access to the latest dental technology. A tooth extraction may seem daunting if you are a parent seeking care for your adolescent. You have that apprehensive feeling that every parent has at the prospect of your child having an invasive procedure. Don’t worry–we will take the time to explain every step to you and your child to make sure the wisdom teeth removal process is comfortable and pain-free. The old days of dentists using antiquated tools for a tooth extraction and little-to-no pain relief are long gone. The moment you enter our dental practice, The Reno Dentist, you will immediately feel more relaxed. Dr. Sykes understands that this is a stressful experience for you or your child. From headphones and music, to peaceful low lighting and soft voices, and pain and memory free, conscious sedation dentistry for wisdom teeth removal, you are certain to receive highly skilled care. If you are currently looking for a dentist in Spanish Springs, Reno, or Sparks NV to perform a tooth extraction or wisdom teeth removal, come learn more about The Reno Dentist. Dr. Sykes will always have the highest regard for your family’s oral health, especially recognizing the necessity to actively but conservatively address wisdom teeth removal and tooth extraction when necessary. 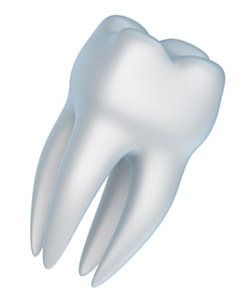 You can have total confidence that your wishes and needs regarding dental care are respected and honored. Congratulations on making that important decision to listen to warning signs that tell you it is time for wisdom teeth removal! All you have to do is schedule your visit today. Simply give us a call at the number above or fill out the form on this page.